Lionel Logue: Do you know any good jokes? Bertie: … … …Timing is not my strong suit. 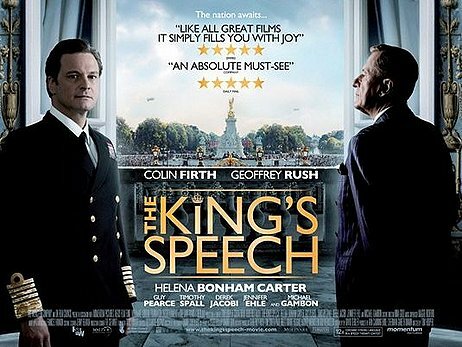 A film like this, with a title like The King’s Speech is one that may suggest something it isn’t. 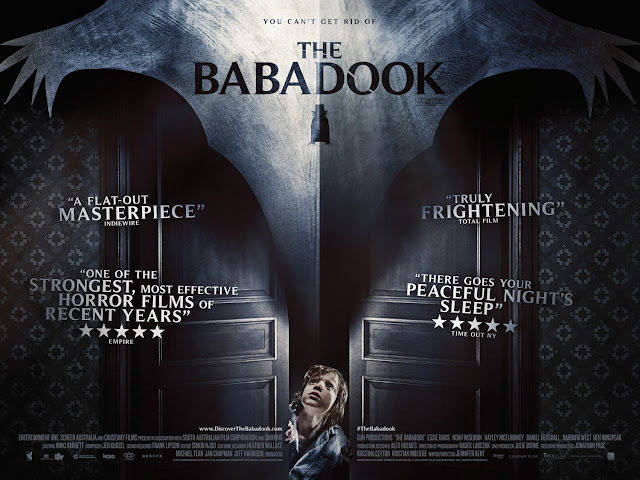 Due to the awards buzz that a prestige film, such as this, is receiving, it seems like some may just write this film off as another stuffy, period film, which may be very good, but doesn’t have much appeal. I would really like to emphasize that this should not be the case. 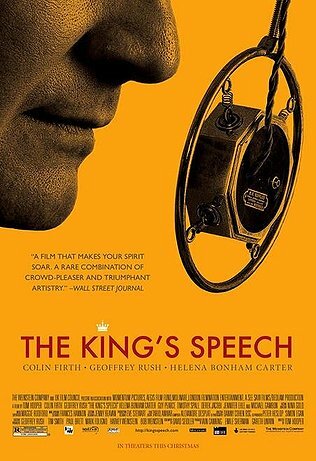 The King’s Speech is a fantastic film, which features great performances by its lead actors, tells a very good (true) story about a man overcoming adversity, and is also very funny. Essentially, this is the story of how a stiff Brit with a disability learned how to loosen up and help lead a nation. 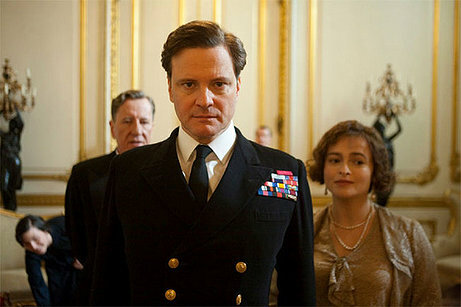 Colin Firth stars as Prince Albert, Duke of York. Over the course of time, Albert will become King George VI, but for the majority of the film he is mostly referred to as “Bertie”. While a noble man and loving husband and father, Bertie has suffered from a debilitating speech impediment for nearly his entire life. Bertie has a horrible stammer, which makes him dread public speaking. 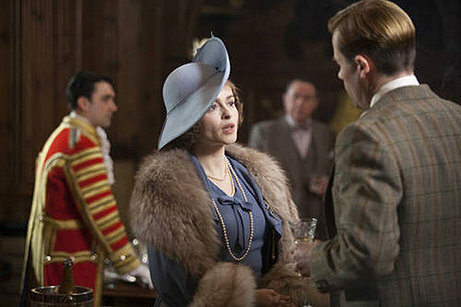 In an attempt to solve this problem, Bertie’s wife Elizabeth (eventually the Queen Mother, played by Helena Bonham Carter) enlists a speech therapist to help her husband. 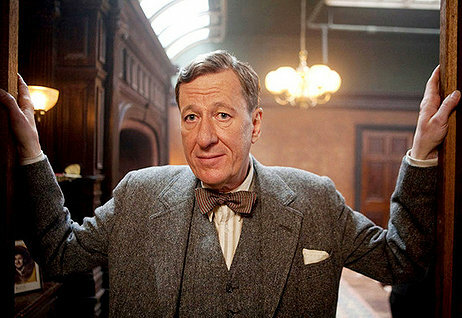 The therapist is Lionel Logue, played by Geoffrey Rush, who forms an unlikely friendship with Bertie, as he employs a number of unorthodox techniques to help Bertie find his voice. This will become much more important in the years to come, because after King George V (Michael Gambon) dies and King Edward VIII (Guy Pearce) abdicates the thrown to his brother, it will be up to Bertie to address his people and unite them as their nation enters World War II. 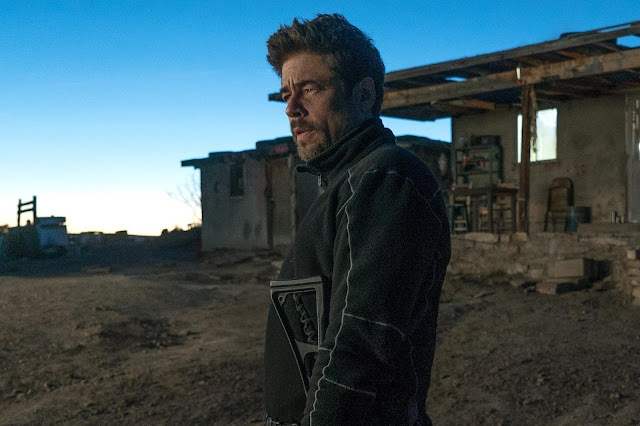 In a year that has already seen many great performances, this is another film that stacks up its actors among those who will remembered by the years’ end as the best. The three leads, Firth, Rush, and Carter, are all fantastic in this film. Solid supporting work from Guy Pearce as well, along with smaller roles, later in the film, such as Derek Jacobi as Cosmo Lang (Archbishop of Canterbury) and Timothy Spall (completing a Harry Potter trifecta) as Winston Churchill. As dapper and dry as some of these characters may be, the actors are all very well equipped and ready to deliver fantastic performances. It only helps that, as I have mentioned, the film is frequently funny and highly entertaining. The way Colin Firth portrays Bertie is really incredible. He is not just stuttering out his lines of dialogue to convey the character’s problem, it is all in his body language, the movement and tightening of his jaw, and other emotional elements that reveal themselves, as Bertie struggles with basic speech. I love how Firth has gone from affable love interest to immersive lead actor. Similar to his performance in A Single Man in 2009, he moves right into this role, hitting every note just as it should, creating a character that suffers from a problem and goes through the proper arc to solve it. Bertie is sympathetic, but not perfect, as his temper sometimes gets the best of him. Even with that aspect, however, we soon come to understand many things about how he has come to be the person he is, with the help of his speech therapist, Logue. As Logue, Geoffrey Rush is perfectly cast as well. The first actor to have signed up for the film, this is clearly a role that Rush can play properly. Lionel is an eccentric Australian actor, who has managed to make a small profession out of training individuals to speak. This basically requires Rush to make pithy remarks at the expense of Bertie, a member of the royal family, not use to such exchanges, which causes him to exclaim and prove that a true voice is present. The various techniques that Logue employs are all quite ingenious and very humorous, as we see throughout the film. Along with that, it is the softness that Rush portrays, when dealing with how to reach Bertie, which does well to convey the friendship that emerges over the course of this film. Finally, you have Helena Bonham Carter, who, after showing us her wild performances this year as the Red Queen in ‘Wonderland’ and as Bellatrix Lestrange (that’s a fun name to type) in Harry Potter, goes to show that much simpler characters come to her just as easily. A true supporter of her husband, Carter plays Elizabeth as a strong backbone for Bertie, doing everything she can to help. The role is certainly not one that folds into the background, but one that is made to seem effortless, due to how good Carter is as an actress. Another interesting aspect about this film is the direction by Tom Hooper. 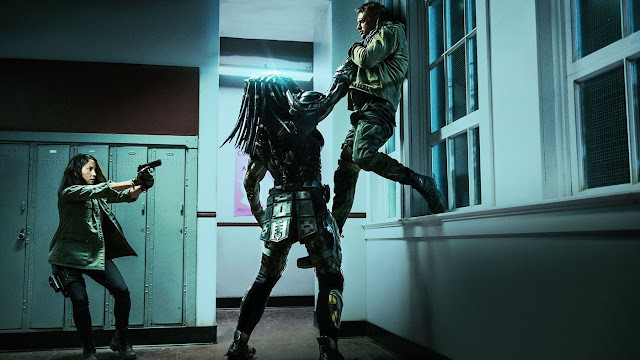 Hooper, who garnered much praise for his work on the HBO miniseries John Adams, presents the film from within many interiors and always seems to have shots setup from interesting points of view. It certainly does not feel as if it were shot like any standard-type period film. It feels more as if Hooper is trying to confine the viewer, just as Bertie is confined in his speaking, only to open up more in key scenes. Then you have the scenes where Logue helps Bertie to overcome his problems by having him dance, exercise, shout, and curse (which resulted in this film’s ridiculous R-rating) are all filmed in a greatly entertaining manner. Much of the way this film maintains its solid momentum, regardless of how good the actors are, is due to the scripting of the feature. Screenwriter David Seidler (who I learned was born in England during Bertie’s reign as King and also had a terrible stutter, but is now quite the articulate older fellow) does an interesting thing with the structure of this film. He has essentially made a sports movie. 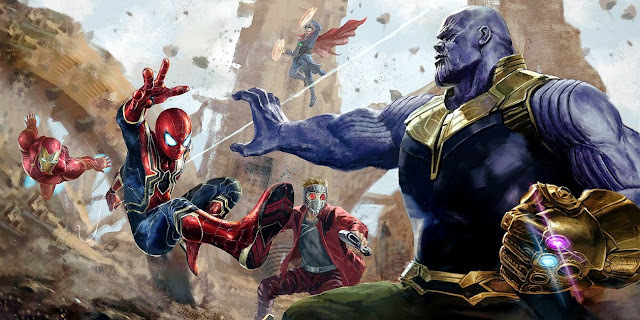 The film has its audience get behind what could be considered an underdog character, finds that character a coach, and has him go through montage-like training sequences, before reaching the “big game” at the end. Other drama unfolds during all these moments. I think it is because of this structure that the film works as well as it does. 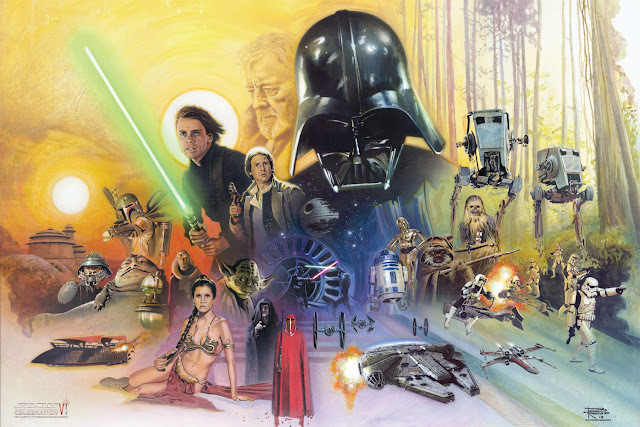 It is that kind of formula that can make for a crowd-pleasing feature film. And it certainly helps that there is such a great amount of talent stacked behind how this film has been plotted out. There are great things abound throughout this film. It is greatly acted, which will easily be the most acknowledged aspect of this film. It looks great, which tends to go without saying when concerning films similar to this, set in a specific time-period. But most importantly, it is very entertaining. The film effortlessly blends the real life drama with many witty bits humor, as well as lots of dead pan moments that only seek to keep the audience on board with the terrific characters presented in this film. 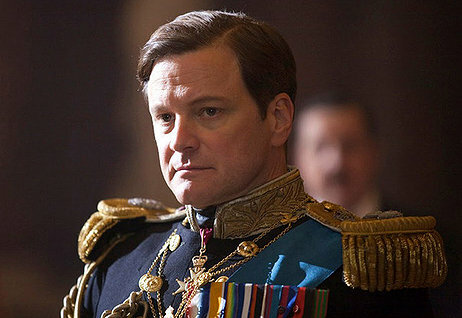 Strong buzz does not build around these types of movies for no reason; The King’s Speech speaks of terrific delight. Lionel Logue: That was all very good Bertie, but you still slipped up on a “W”. Bertie: Yeah, well I had to throw one or two in there, so they’d all still know it was me.